You know when you’re lifting something heavy for your neighbor and yer pants riiiiiiiiiiip — and you suddenly freeze up? Well, that’s what the Rapala RipStop jerkbait does. Sorta…. > I was first introduced to the power of the Caffeine Shad about 6 years ago while filming a fall show with KVD. 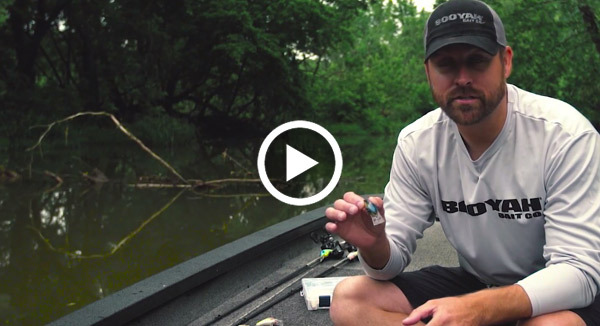 We were throwing Burner Spinnerbaits around grass…. Everywhere we stopped, Kevin would unstrap his rods on the front deck, and would always unhook a rod with a Caffeine Shad tied on it and lay it where is was easily accessible. > …I finally asked, “What’s up with the Caffeine Shad rod?” He replied, “You’ll see.” …wasn’t very much longer before a bass rolled on his Burner and he quickly reeled it in and grabbed the [Caffeine Shad] rod. …[cast] the Caffeine Shad exactly where the bass missed his spinnerbait. He twitched it furiously for a few feet and then stopped it, allowing it to fall. You can guess what happened next…nice 4-lb largemouth. 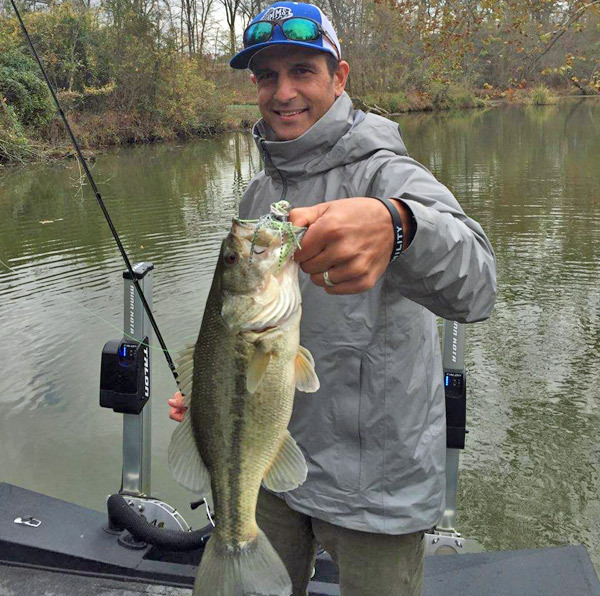 > I’ve had experiences in the fall in pressured areas where the bass just wouldn’t eat a topwater. They would boil on it, slap at it, or follow it. …pulling the Caffeine Shad out of my bag of tricks has saved the day. “Bulbous” (Mercer word!) tail means it likes to be twitched. 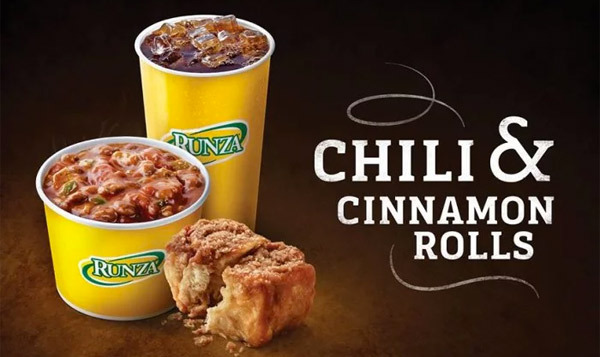 Comes in 4″, 5″ and 7″. When I first saw the Lunkerhunt Bento Minnow — also called the Lunkerhunt Bento Bait — I thought a Japanese company made it. When I found out it was made by a bunch of Canadian guys, I started to doubt my sanity. Had to excuse myself from an ICAST meeting to count my marbles, make sure I had ’em all…all 5 of ’em…. So the Bento Minnow looks Japanese-good, is a killer a shad/baitfish imitation, and like any good soft-jerk it’s easy to make look wounded with a few twitches and pauses. 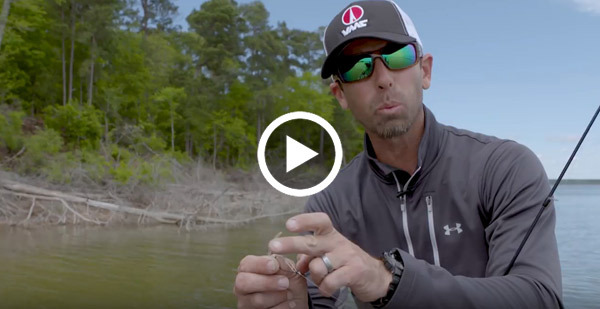 Tip: Find ’em with a topwater, like maybe a Lunkerhunt frowg or Kraken Popper, and if they just…don’t…commit, then get ’em to chomp with a soft-jerk. 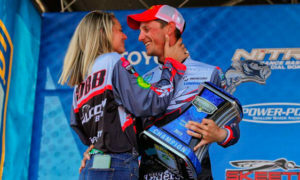 In case you don’t look at tourney results all over the country like I do, I’m here to tell ya — spinnerbaits still catch ’em. 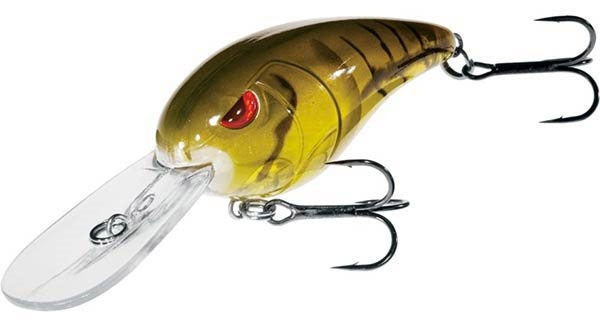 Chatterbaits and swimbaits have knocked spinnerbaits to the bottom of the box, but not for everyone. 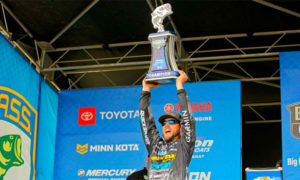 And if Bassmaster Elite tourneys still happened in the fall in largie water, you’d see those guys throwin’ ’em. 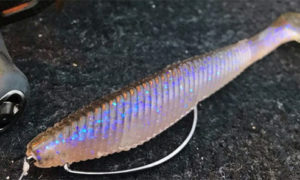 Can get ’em in willow-CO, willow-willow and if your shad’s smaller, try the 1/4-oz finesse version. 6. 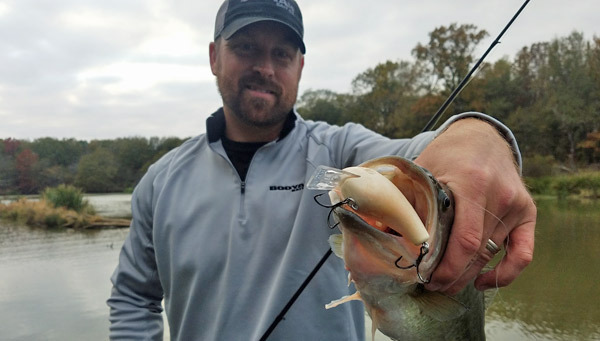 How Zona deep-jerks up some fall bass. 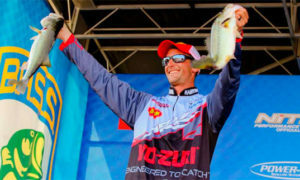 Z loves to jerk him some baits, and of course they’re Strike King KVDs (ayu, crystal shad, natural bream). 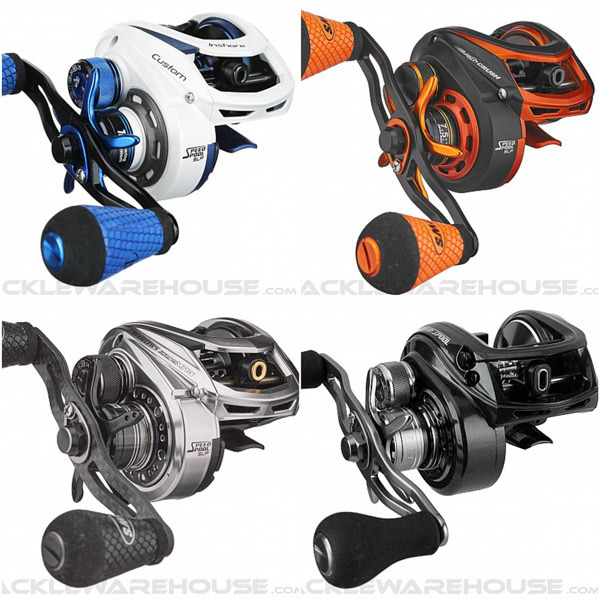 Rod and reel are: 7′ M Daiwa Tatula Elite Randy Howell Jerkbait Rod and Daiwa Tatula SV Reel (7.3). 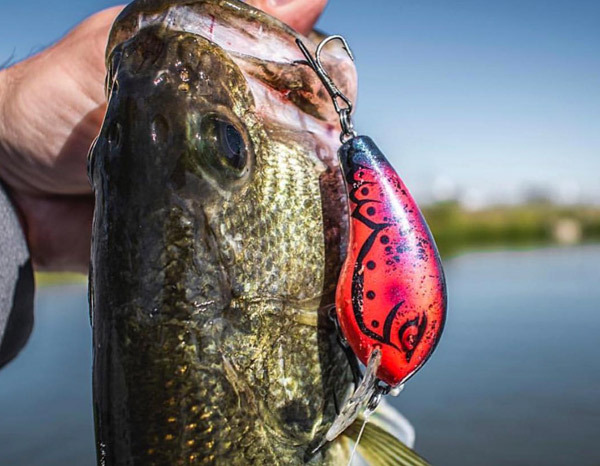 Talkin’ to a college bass-head the other day who said 2 things he likes about the BOOYAH Flex are it sounds different than other squarebills — because of the foam and “bill-through” construction — and he can throw it fearlessly at all kinds of structure…cuz it won’t break. Super-important because college kids have some thin funds man! The 1.5 is like cool kicks (or flops) — a must-have when a-feeshn. In fact, when I say “1.5” to you, you know exactly what I’m talkin’ ’bout so what does that tell you? 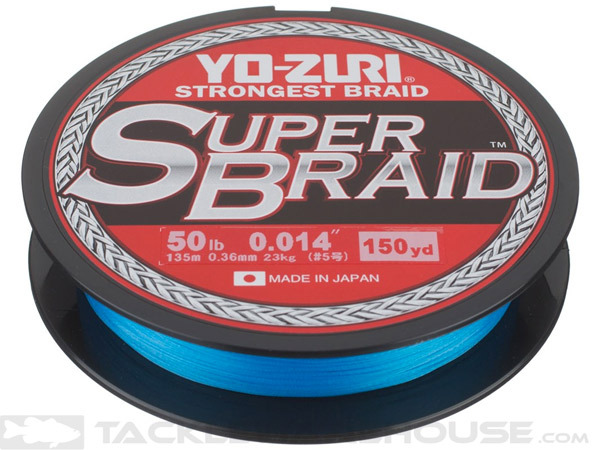 > …built with a “slab-sided” profile, which helps deliver super-erratic wobbling that shallow bass can’t resist. 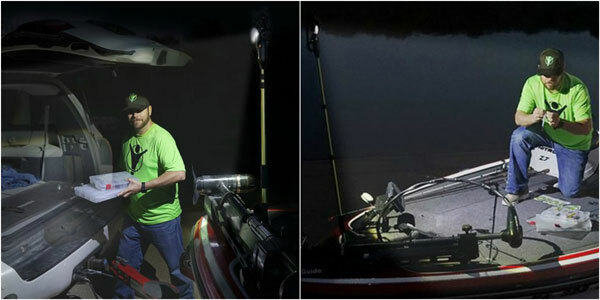 > …internationally patented 3D Internal Prism that sends out natural flashes of light that closely resemble the natural reflections of a swimming baitfish. > …”shovel-lip” design to erratically bounce off underwater structure while avoiding snags…. Maybe it’s a cinnamon roll for the bass? Or a mini-muffin?? I like the more-subtle sound…. 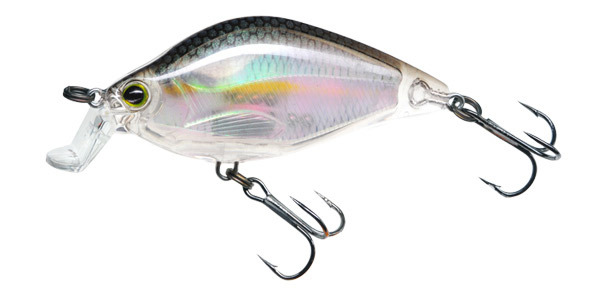 Those-type cranks are must-haves in cold water, period, and especially (but not only!) around any kind of rock. Cranking is fun, mang! Just crank that handle and…bam! You can do it from the shore, you can comb shallow flats and creek arms from a boat, just do it. A dang good rod for this is the Alpha Angler Rebound — called that because it recovers SLOWLY when ditch melons surge against the trebles. Told Jake Boomer at Alpha he shoulda called it the “Surge Protector” but that’s a different story…. 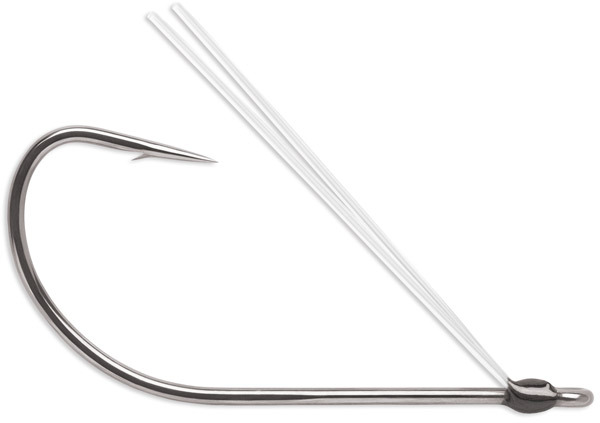 > …this innovative blank composition compensates for recent innovations in the fishing industry, like surgically-sharpened hooks, zero-stretch lines and high-speed reels…. Word! THAT’s why I miss so many fish hahahaha! But seriously, I’m all about tryin’ new stuff and these rods fer sher qualify. 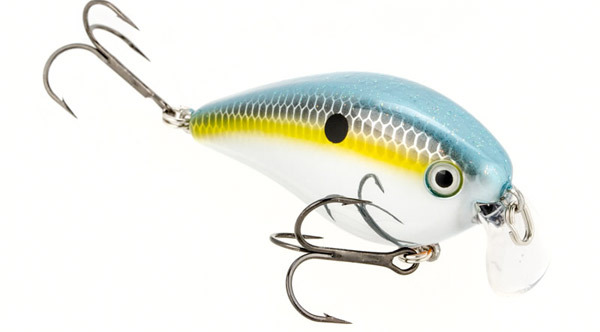 > Rapala DT4 and DT6 — At times money in colder water. 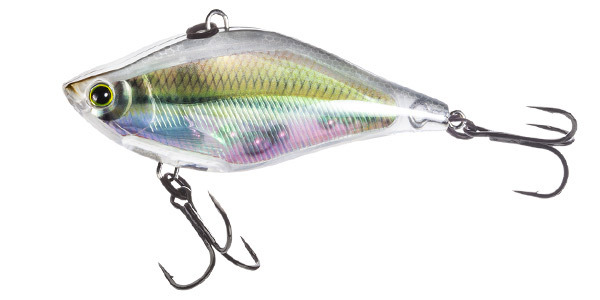 > Rapala Shad Rap and the similar Strike King Lucky Shad — both dang good for cold-water bass. > YUM Dinger in Elder’s Magic — Believe this color is named after Ouachita guide Chris Elder’s magic show involving bunnies, funny hats and an assistant named Bruce. Or maybe not. Whatever the reason, it’s $$$$, so it’s in the boat always. > BOOYAH One Knocker — Sometimes that one deeper knock is IT. > Medium-action rods — Gotta get over my MH obsession and make my hookset slower. 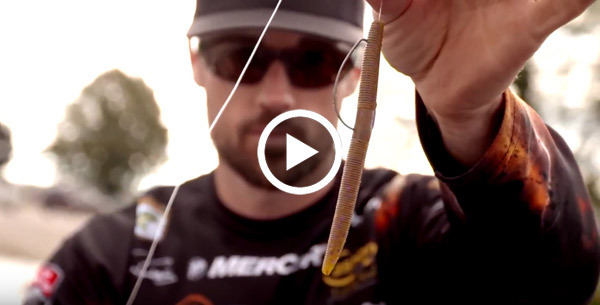 > Slower reels — Same deal on slowing down. Tip of the Day: You ever “Stupid Tube”?? 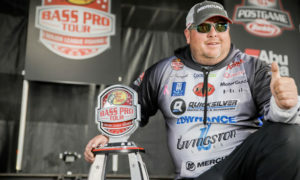 > “When you go to set the hook on them, you need to have low-stretch line — rigging it that way, you don’t have a lot of hook to really crack ’em. 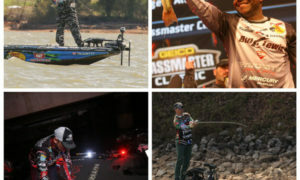 Other bassin’ stuff you need know about! 1. Favorite: Gitcha some affordable rods! Have said many times it’s hard to get a bad rod these days. So many are good, and WAY better than they were even 10 years ago. But you can also buy a 5-hunnert-dolla rod now (!!) 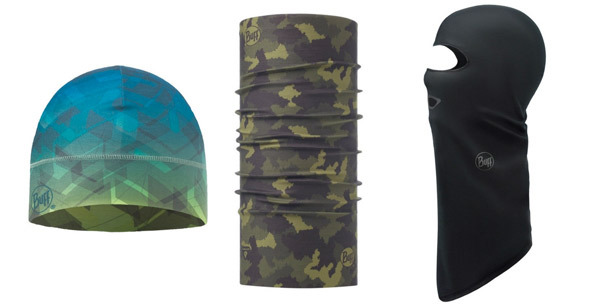 so…if that ain’t in yer budget, check these offerin’s from Favorite. 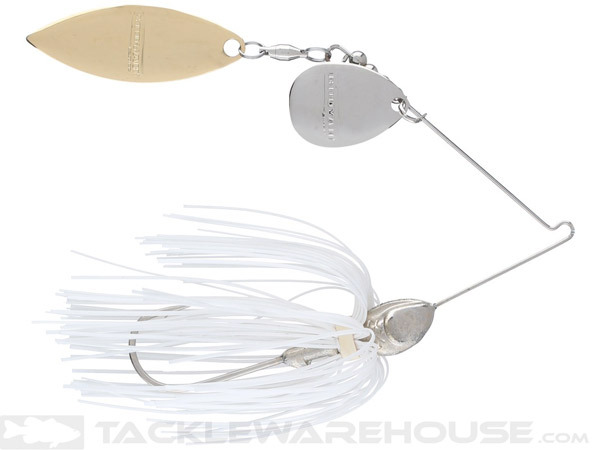 A couple are: AP Bassin’s Absolute Casting Rod for $79.99 or the White Bird for $49.99. I kid you not. 2. Lotsa new Lew’s stuff! First of all, as a lefty, I’m profoundly hurt and disappointed that new Lew’s Custom Inshore Speed Spool SLP Reel is only offered in a right-hand version. Because it’s white and blue mang! They’re all new! 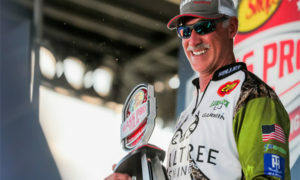 It’s like Lynn Reeves sold his company and all he does is go fishing and develop new stuff…oh wait, that’s exactly what happened….All Lew’s stuff here on TW. Can you let it soak? Well, if you plan on fishing cold water, you better put on your patience pants and tune up that fiddle while you let that plastic do its thing. Thing is, plastics and cover go together like chicken wings and football, so you know you’re a-gonna be soakin’ that bait around cover — docks and wood, usually. 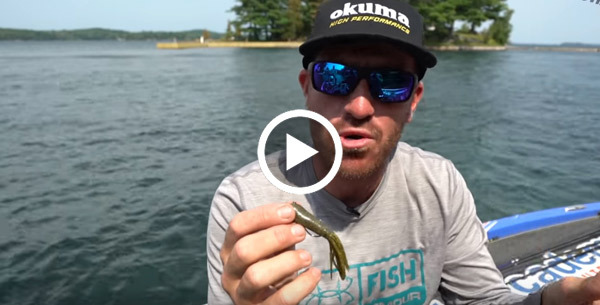 You’re in luck cuz VMC’s weedless Neko Hook — a favorite hook of several Elites for several things — is finally out…after the Elitists had ’em, and in fact Brandon Palaniuk won the Sam Rayburn derby this year fishing this hook in/around brushpiles. > The ThermoNet collection featuring Primaloft yarn has a hydrophobic coating to resist ice and water buildup. What does this mean? You’ll stay warm and dry around your head, neck and face that often exposed zone even when wearing a rain jacket and fishing cap. 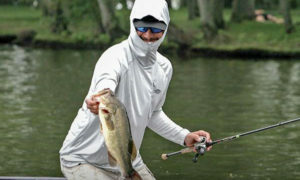 And don’t forget that BUFF has the best fishing gloves on the planet…. Installation is s’posed to be easy too…. Caught a guy singin’ “You Light Up My Life” to it once…. Okay, might have been me, but you ain’ never seein’ that vid hahaha!